Does this video ring true with you? I know that when I first saw this DVD series, I was quite captivated by the concept. Life as a story? It sounded intriguing, and yet, remarkably simple at the same time. In fact it wasn’t really a big stretch to think about my life as a story. And, the more that I explored this idea, I found that 1) quite a number of other people were discussing and talking about it, and 2) it actually wasn’t a ‘new idea.’ However what really captivated my imagination was the fact that Eldredge, but also others like him, were talking about The Bible as A Story – a single, large Epic. A story that has spanned (and outlasted) thousands of years, thousands of governments, political structures, revolutions. A story that still marches onwards to an absolutely magnificent end, undeterred by the twists and turns of history. Since I grew up in Sunday school, I was very aware that the Bible contained lots of stories, but I had never really thought about the whole thing, from beginning to end, as being a continuous story. In fact, when I really thought about it hard, I wasn’t even sure that I could place the biblical events in order. I knew of the stories, and the supposed ‘lesson,’ but they were discrete units that really didn’t join together in any meaningful way for me. And so, like much of christendom I think, I (by default) viewed the Bible as a random collection of events, stories, and morals. At the same time that all of this was going on, I was becomingly increasingly frustrated with the way ‘Church’ continues to be done in Western countries. Unfortunately, it seems that the Church has really sold out to the dominant story of consumerism in the west, and now, Churches are producers and dispensers of religious goods and services. It didn’t take long for me to put 1+1 together and realise that the way we had been viewing Christ, the way we had been using and reading scripture (as a treasure trove ready to be mined of ‘objective truths,’ rather than as a narrative), created a church that had lost its sense of the big story and it’s place in it. The exciting thing for me was actually two-fold. You see, I had come to realise that the church was (unwittingly?) making me the highpoint in the story – it came down to my personal relationship with God, it came down to my behaviours, it was about how I lived my life in the world or in the workplace. I needed to find God’s will for my life, and avoid the world and it’s dirtiness. However, when I started to think about history as a narrative that God is directing – I suddenly realised it’s not about me! God has been at work in history since it’s inception, moving history along to it’s divinely appointed end, the culmination of the plan that was started in Genesis 1:1 – not a return to Eden, but something even greater. When the New Jerusalem will be present on this earth, and Christ, the man, the first fruits, the ultimate human will rule from Jerusalem. What is more, what I do now, counts – because I am participating with God’s work, I am going along for the ride. The more I listen to my generation (the Millennials), the more I realise that all we really want is to have a sense of purpose. We have seen our parents (and our grandparents) slog their guts out 9-5, 5 days a week, 49-50 weeks of the year, for 40-50 years, many of them hating it the whole time. Millennials look at that and say “Why do something you don’t love?” We want to believe in what we do – so much so that volunteerism is at an all time high amongst Millennials. We want to belong to something, something we can believe in, something that gives our lives purpose because it is bigger than us. Something that is the same size as you doesn’t really give you a deep sense of purpose – because, let’s face it, you came up with the idea and you could stop it at any point. Things that provide meaning and purpose need to go on without us, and despite us. This is where I think the church has really been missing the boat. 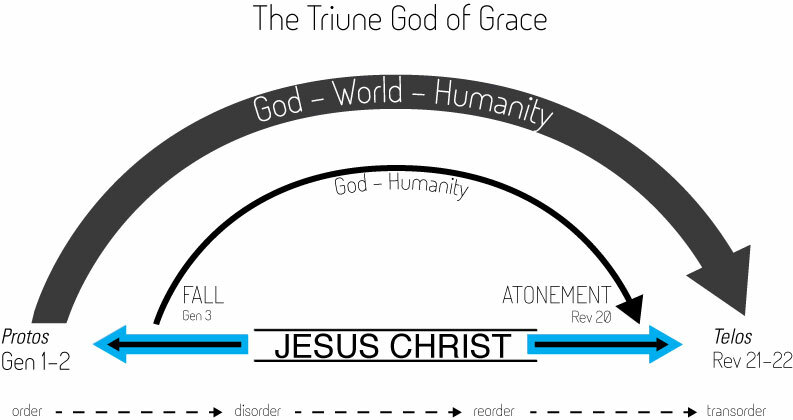 We have watered down the grand story of God’s actions throughout history, and the imagination gripping tale of his mission and his unrelentless love towards humanity into “a random collection of stories, morals, and good advice.” We have made Christ into a placid whipping boy ‘who died for the sins of the world’ and then fades from view. We have made the Bible about us, and we have made the church into a dispenser of religious goods and services. No wonder Millennials are leaving the church in droves. Give us something bigger than ourselves to belong to, to devote our lives to, to believe in. Give us something that resembles a movement, not an institution that stubbornly continues to indoctrinate people with dualism. Give us authenticity. Until then, you will find us partnering with God elsewhere – in the movements that are actually making a difference in this world.